The United States has a gun violence problem. This isn’t a political statement, but rather a fact. 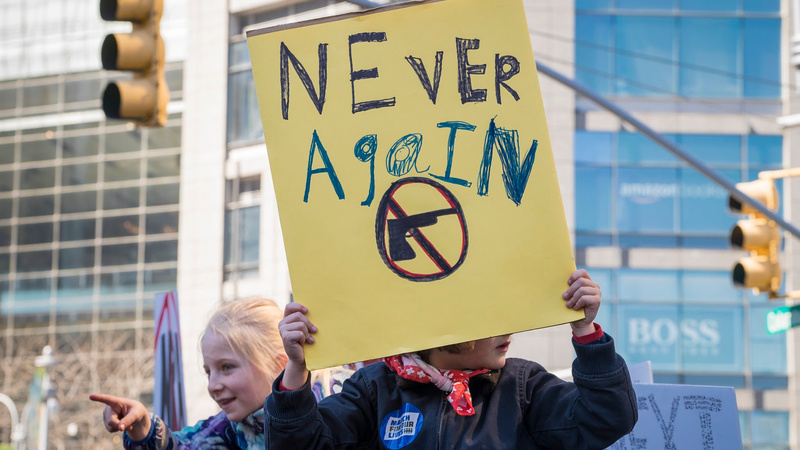 According to the Gun Violence Archive, more than 13,000 people have been shot and killed in 2018, and more than 25,000 were injured in shootings. The number of children (ages 0 to 17) injured or killed this year currently totals more than 3,000. Behind all of these statistics are real families who have suffered the loss of a loved one and are struggling to move forward — including the parents of kids murdered in school shootings. Some of these parents recently spoke to Time magazine about their devastating losses and how they’ve formed a community of parents to help them process, cope and channel their grief into action as they fight to end the gun violence sweeping our country. There is no official rulebook to being part of the “club,” yet many of its members spend a lot of time consoling one another on important anniversaries, such as birthdays. Additionally, they make sure to support new parents affected by gun violence. It doesn’t matter what the affected person’s political party is or where they fall in the gun debate. The parents said they would drop almost anything to support one another in their times of grief. “I would consider them some of my closest friends,” Bob Weiss, whose daughter Veronika was shot to death at the University of California, Santa Barbara, said. Their conversations vary, of course. Sometimes, they ask each other about their deceased children, discussing their ages and interests, hobbies and aspirations. Other times, they recount their darkest moments, like how they learned of their child’s death, how they dealt with conspiracy-theory trolls, how they communicated their loss with their families and, in some cases, how the death tore their families apart. Many of these parents also have other children, and they often seek advice on how to keep their heads above water as they balance their heartache with their kids’. Head to Time to read the full story.